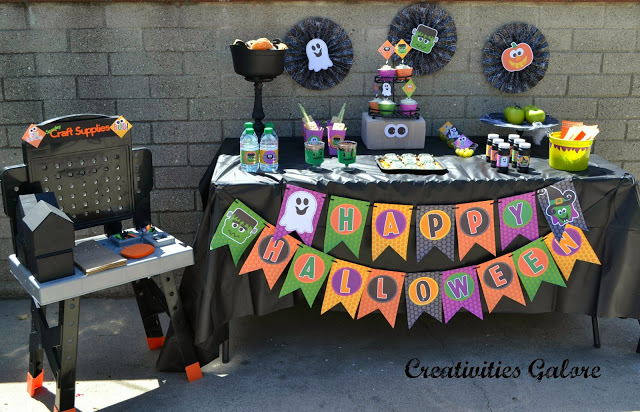 Today I am sharing a fun Halloween craft party that is completely kid friendly. I love love love Halloween and I seem to have passed that onto my sons. We have had a Halloween craft party for the past 3 years and my boys love it. They have so much fun plus it is an extra day for them to use their costumes. Disclosure: This is a sponsored post on behalf of Breyers® Toppings. Creativities Galore received product or compensation for the purposes of this post. All opinions are strictly my own!! Hey, I’m here again to show you another ice cream bar that I did for my sons this one was a movie night ice cream bar. This one was quickly put together so they could enjoy a nice treat while watching a movie. Printables are from the super talented Sweet Peach Paperie she has such a beautiful Ice Cream Parlor collection that I used. I set out some cupcakes for them and also some delicious cookies from my fabulous friend Roni. I set out some of the toppings that Breyers sent me from their new toppings line so that my sons could create their own cookie sandwiches it was so fun. 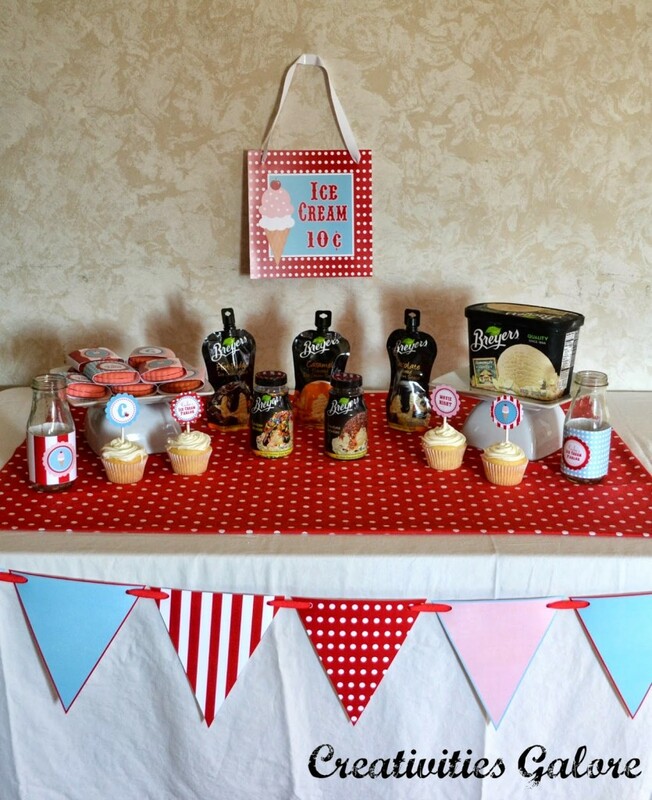 I recently created a ice cream bar that is being shared over on Made By A Princess blog. One of my favorite elements on the table were these napkins with a curling ribbon napkin ring. I spruced up the napkin with just curling ribbon and a 2″ circle tag I created (which are a free download on her blog). All I did was tie some curling ribbon around the folded napkin and spoon then I just tied a couple more strings of the ribbon curled them up and glued a tag to it super simple and cute. 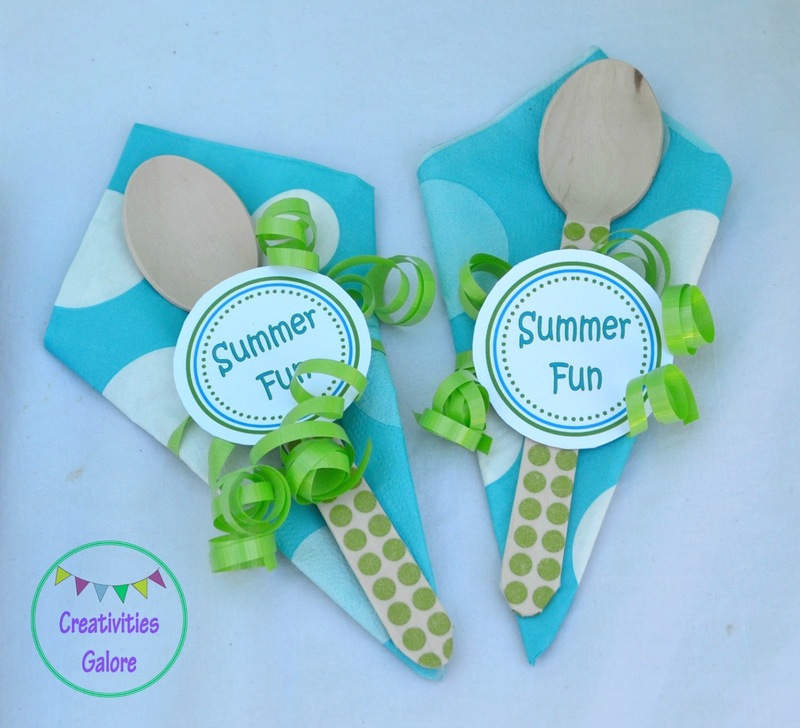 To see more pictures of the Summer fun ice cream bar and these cute curling ribbon napkin rings click HERE. 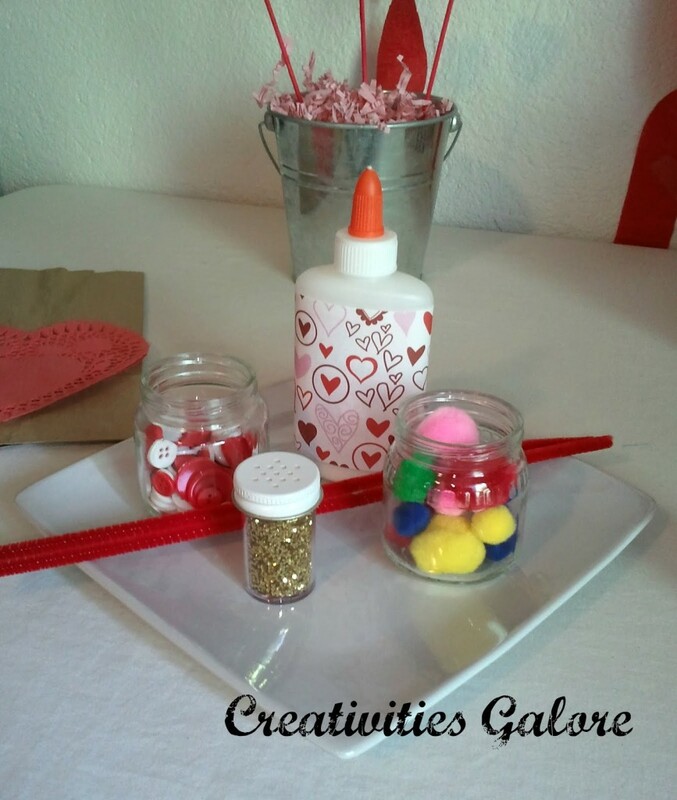 A little while ago I created a Valentine’s theme craft party just for my 2 sons. Today I want to share with you the easy Valentine’s banner I created for the craft supplies table. 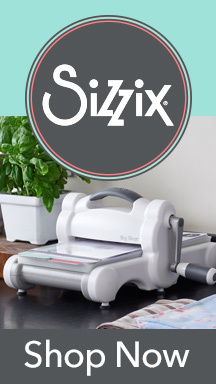 The banner was made with cupcake liners as the background then I added white card stock circles on top to place the letters on that for easier visibility. The letters were created with my dye cut machine. To complete it I used glittered clothespins to clip it onto some ribbon! To see the party where I used this Valentine’s banner you can click HERE.